It’s really easy, all you have to do is go to your Recart Dashboard, and look for the ‘?’ icon in the bottom-right corner. After you click on the "?" icon, our support chat window will appear. You’ll literally chat with us. Since I can see all your data through Intercom, the troubleshooting process will be much faster than via email. 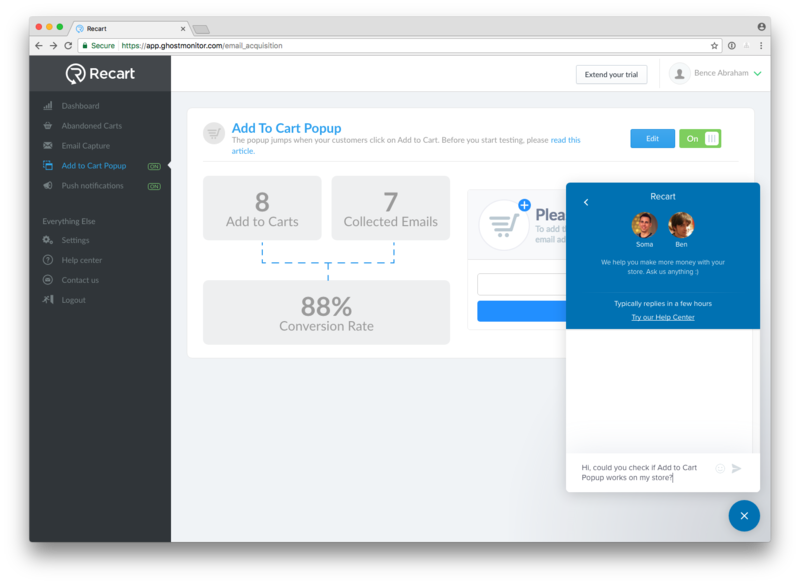 Another benefit is the tight integration between Intercom and your Dashboard. This allows us to solve your problems more quickly. Messaging us via Intercom chat is very easy and fast. 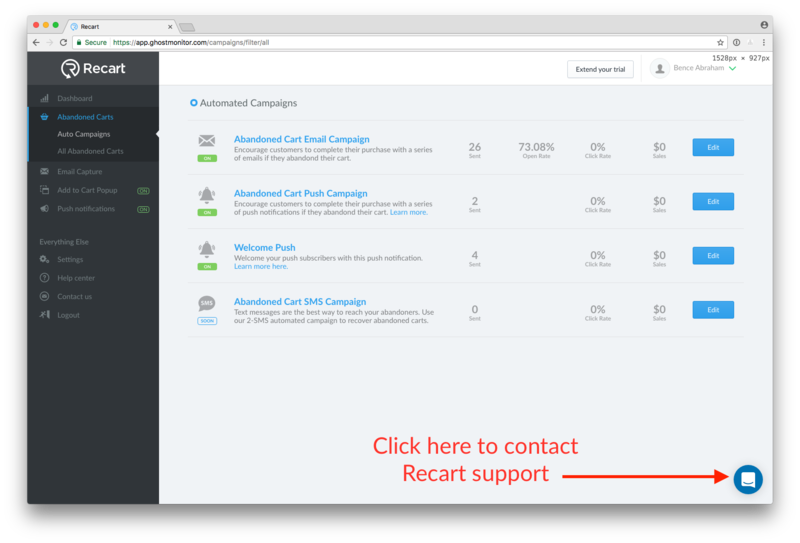 If you prefer to contact us via email, despite all the benefits of using our integrated support chat, you can reach us at support@recart.com. Please note that answering emails might take up to 24-48 hours. So if your issue is urgent, we recommend using the built-in support chat on your Recart dashboard. We’re looking forward for hearing from you!